New Port Richey, FL, March 21, 2018 (Newswire.com) - World Karting Association (WKA) has partnered with Race Face Brand Development to offer two new programs as benefits to their members. Race Face Tel-Med and Race Face University. 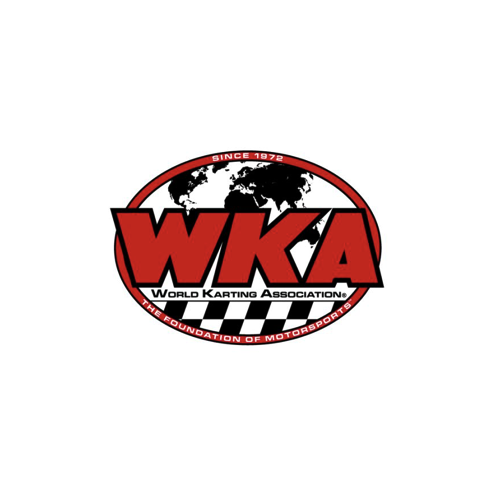 “We are excited to partner with the WKA not only as a Manufactures Cup Sponsor in the Jr. Yamaha Class but to be able to offer these great programs to WKA Members,” said Rod Wortham CEO Race Face Brand Development. Race Face Tel-Med is a medical and lifestyle benefit program including Teladoc. Teladoc gives you access to a doctor 24/7 via phone, online or mobile app. Anytime, anywhere with no fee per visit. You can get a diagnosis, treatment options and a prescription if medically necessary saving you hundreds of dollars and valuable time when treating yourself or your child when you are traveling with your race team. Plus, it includes discounts on dental, vision, prescriptions and much for as little as $19.95 per month for up to 5 members of your household. “After attending several races last year and talking with hundreds of parents it was clear there was a need for a program that would give access to a doctor 24/7 whether at home or on the road as long as it was affordable. We believe that we have delivered that with Race Face Tel-Med,” said Wortham. Race Face University (RFU) is an online training program designed to maximize a driver’s marketability and brand. A semester is an 8-week course-of-study that includes training videos, live weekly webinars, and interactive content training about important branding resources like: Hero Cards, Media Decks and Sponsorship Proposals. Additional important marketing and branding training topics include: Social Media, Building a Fan Base, Performance vs Results, Goal Setting and so much more. “In today's world of racing the amount of money that it takes to compete is overwhelming. For those competitors who want to move on to pursue a professional racing career you need sponsors and creating a Brand is a necessity. Young drivers and their parent need to have a Blueprint in place to even have a chance to attract a marketing partner in today’s world with the amount of competition that is in the marketplace.” said Wortham. "At Race Face University, our mission is to give young racers a competitive advantage on-the-track, and parents a marketing and branding advantage, off-the-track." Race Face Brand Development is made up of a staff and an advisory team of well-established leaders in the auto racing world: Rod Wortham, Lorin Ranier and Tom Baker. Together this group has nearly 100 years of combined experience and successes in driver coaching, media, marketing, and branding from the kart level right up through the crown jewel — NASCAR. In addition, Rod Wortham is the CEO and founder of Race Face Brand Development, Lorin Ranier of Ranier Racing Development is considered as the premier driver development adviser in the motorsports industry and Tom Baker is the personal development instructor and owner of Race-Chaser Online.